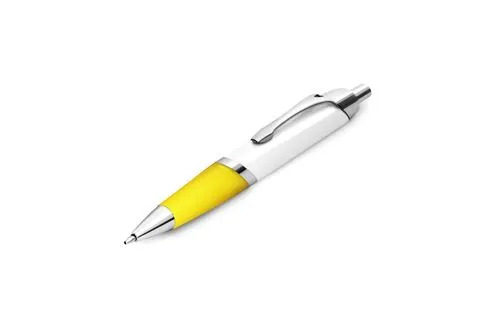 This patented design pen has a flatter barrel than normal to enable a larger area for a full colour digital logo. 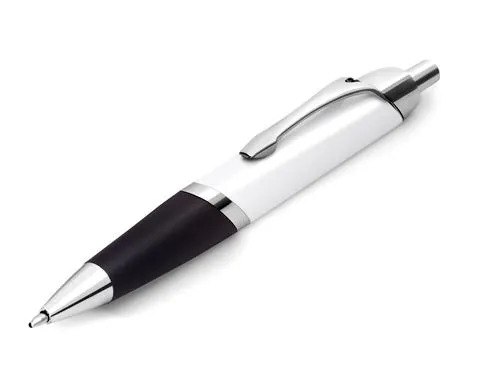 Pricing includes a FREE one-position Digital Print on the pen. 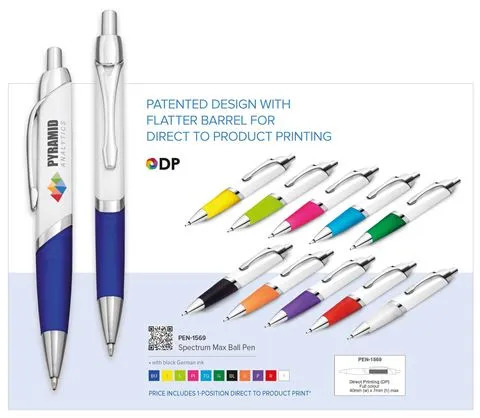 Should you wish you digitally print the other side of the pen, please use the branding code DP-A to establish the print price on that side. Includes a black German ink refill.